The scientists' recommendation is in the final report of a unique, 10-year experiment in collaboration: the Sierra Nevada Adaptive Management Project (SNAMP). 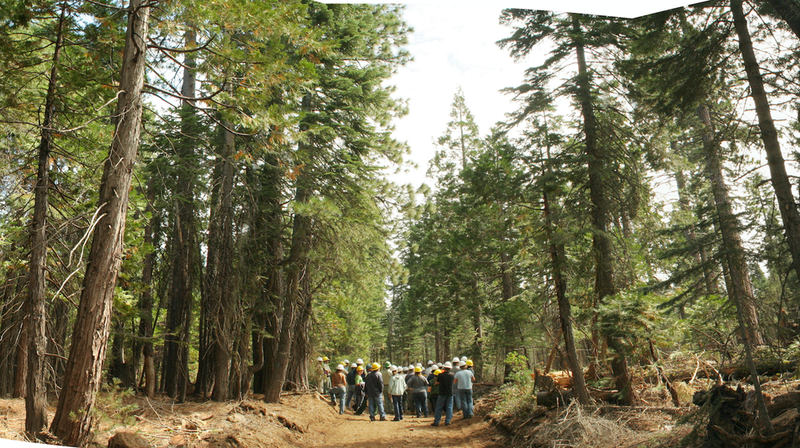 A 1,000-page final report on the project was submitted to the U.S. Forest Service at the end of 2015. In it, scientists reached 31 points of consensus about managing California forests to reduce wildfire hazards and protect wildlife and human communities. Spatial - The study of forest canopy and understory with remote sensing technology called lidar, which uses reflected light for analysis. Wildlife: California spotted owl – A bird that is dependent on high-canopy forests. Wildlife: Pacific fisher – A weasel-like nocturnal animal that roams a wide area and nests in the hollows of old-growth trees. A key chapter in the publication is titled Integrated Management Recommendations. In it, the 31 points of consensus are outlined.